Breast Cancer Now is the UK’s largest breast cancer charity who are dedicated to funding research into this devastating disease. This year, 50,000 women will hear the words “it’s breast cancer” and around 11,500 women will die from it. Breast Cancer Now believe that if we all act now, by 2050, everyone who develops breast cancer will live. But to make it happen, they need help. Breast Cancer Now’s Wear it Pink day is one of the biggest fundraising events in the UK. Taking place on Friday 19th October during Breast Cancer Awareness Month, Telecoms World will join thousands of people who will Wear it Pink in their communities, schools or work places for the UK's largest breast cancer charity, Breast Cancer Now. We'll also be holding a bake sale of all of our delicious creations! And we'll be asking for donations to play "guess how many balloons" to support our fundraising. Since their first event in 2002, they have raised over £30 million for life-saving research. Research that's working to discover how to prevent breast cancer, how to detect it earlier and how to treat it effectively at every stage to stop the disease taking lives. Research holds the key to a future where women get to watch their children grow up, creating a lifetime of memories with the people they love and a future where, by 2050, every woman who develops breast cancer lives – and lives well. 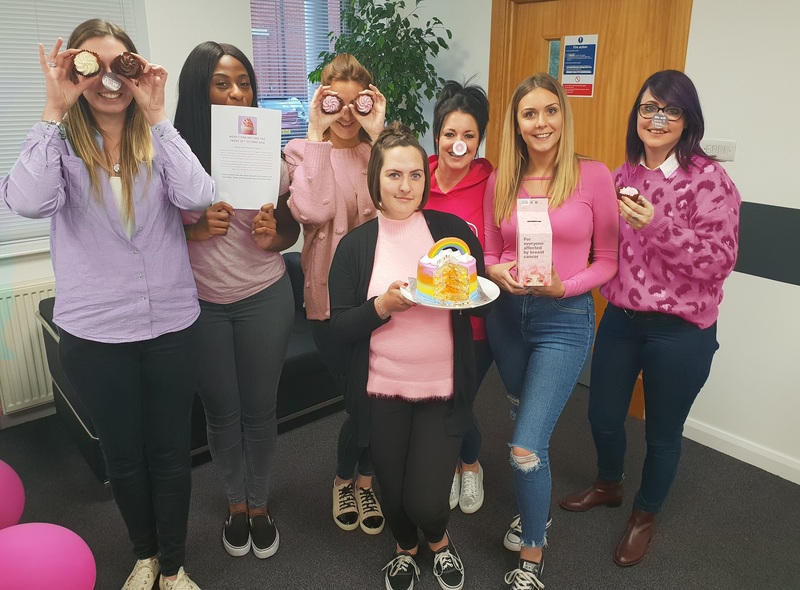 Our lovely Telecoms World team proudly wearing pink to support our Breast Cancer Now tea party held on 19th October 2018. We had our cake and ate it! So far, we have raised a fantastic £300+ from an original target of £150 from generous donations along with a cake sale on 19th October 2018 to help us reach our target. We enjoyed lots of yummy cakes and pleased to say that there’s still donations continuing to come!